Real Madrid forward Gareth Bale was the focus of unwanted attention in the Spanish media on Thursday after the 100-million euro signing was left out of the team's starting line-up for the third time in four games. Bale began Real's 3-1 win at Leganes on Wednesday on the bench, just as he had done against Real Sociedad and in their Champions League last-16 first leg against Paris St Germain. Coach Zinedine Zidane selected Bale to start against Real Betis on Sunday but he had little impact in his side's thrilling 5-3 win, missing two clear chances in the second half before being substituted, and he was not directly involved in any of Madrid's goals. 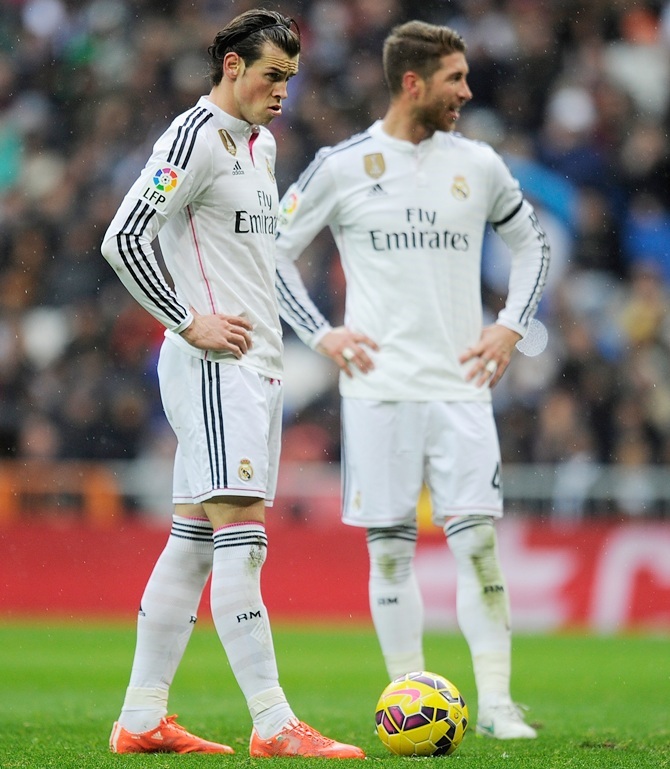 "There is a problem with Bale," Spanish newspaper AS reported on Thursday. "He has gone from being undroppable to dispensable for Zidane, and his attitude isn't helping. The Wales forward is aware of his change in status and his gestures in the last few games reflect the bad mood he is in at the moment." Spanish daily Marca went further, stating in an article headlined ‘Bale's credit has run out’ that Madrid have already decided to sell the 28-year-old at the end of the season. "Bale's capacity to get involved in the team's play is inversely proportional to his extraordinary conditions," said the newspaper. "Bale plays games as he lives: isolated in his own world, distant." Bale is among Real's highest paid players after signing a bumper new contract in 2016 but his last two seasons at the club have been blighted by injury. He required surgery to treat ruptured ankle ligaments last season and later admitted he had paid the price for rushing back to action too soon. His current campaign has been hampered by persistent muscle problems and although he has not had any recurring injuries since returning to action in December, he has not played more than 80 minutes in over a month. "I'm happy with him, we have to take things slowly with him," Zidane said recently. "What we want is for him to hit top form so we're taking it like this. We'll then decide whether he plays in our next games. We are doing well at the moment and I'm going to count on everyone."